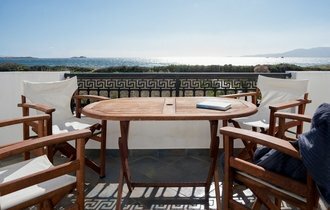 Each time you make a reservation through this website, your reservation is made directly with Depis Beach Front Villas. As such, you are guaranteed the lowest possible rate, unlike reservations made through third party systems (whose prices include the given platform’s commission). To send a reservation enquiry directly to Depis Beach Front Villas click here! 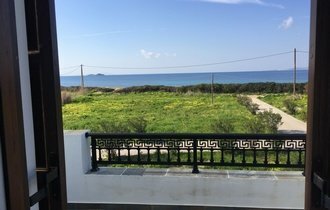 Depis Beach Front Villas is found at a splendid location just 30m from a private section of Plaka beach, on the beautiful island of Naxos. 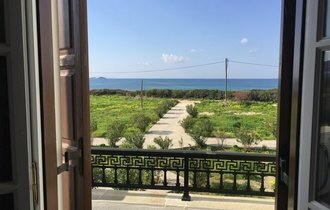 It offers its guests a maisonette-villa that sleeps up to 5 persons, an apartment that can accommodation up to 4, a vacation house for 4 persons and a maisonette, also for 4 persons. The area is ideal for a number of activities including horseback riding, cyclding and wind-surfing. At a distance of 20m. you will find a super market and restaurant, while the old Castle of Plaka is 500m. away. 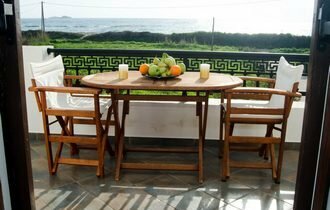 Depis Beach Front Villas is 5km from Naxos International Airport, 2 ½ km from Agia Anna beach., 6 ½ km from the port, 6 ½ km from the archaeological museum and 7km from Portara.